I felt like cooking tonight. I’ve felt like cooking more lately, but haven’t had a lot of time. Still on a heavy schedule of work and travel, with little energy or time left at the end of the day. 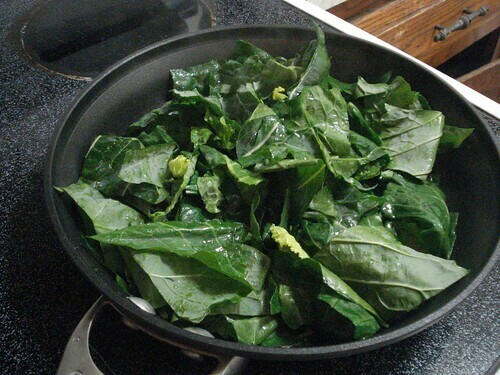 It’s not smart, because I enjoy cooking and get frustrated and guilt-ridden when I don’t do it. I haven’t been completely idle, but didn’t feel like going to the trouble of photographing old standards and improvisations when I made time for them among the takeout. 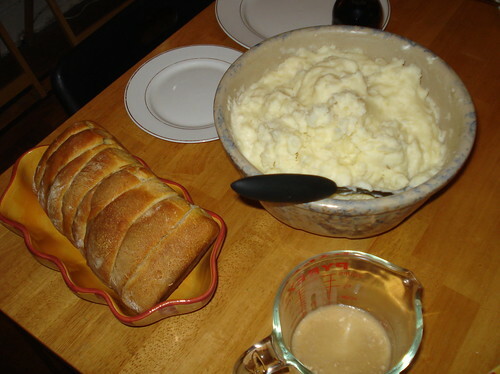 Tonight, though, I thought I should make time for a post as well as for a home-cooked dinner. You may have heard that a major storm blew through the New York metropolitan area on Monday night. New Jersey took the brunt of former-hurricane Sandy, but New York suffered quite a hit as well. Here at our house, we were fine; we suffered no structural damage, never lost electricity or cable, and simply had to sit through a windy night at home. The next morning, while others not far away were sorting through burned remains of houses or walking scores of blocks to find a place with electricity to charge phones and check in with loved ones, I was logged on to work from my home office and Scott was walking through the neighborhood taking pictures of downed trees. We were lucky, and we were a bit stunned. It felt a bit like we’d just had a major explosion blow past us — we were safe but we couldn’t shake the idea that more shrapnel was going to fly through, and we couldn’t stop looking at the footage of those who had suffered enormous losses. We were taking phone calls from a friend who lived just inside the Manhattan “dead zone” without power or heat, helpless to go fetch her because public transportation was suspended while the tunnels were pumped dry of the floodwater that had filled them. We were watching our East Coast friends update Facebook — “Still no electricity, going to stay with a friend in Brooklyn.” “Waited 2 hours in line for gas.” “Still no email at the office, call me at home.” — while at the same time our friends in other parts of the country posted updates on Halloween parties, going to see movies, the mundane things of life. It was surreal to try to keep on working at my normal job, from home — something I’ve done hundreds of times, only now I was doing it because I wasn’t willing to wait 2 hours for a bus into the city, not because I had a vet appointment at midday. 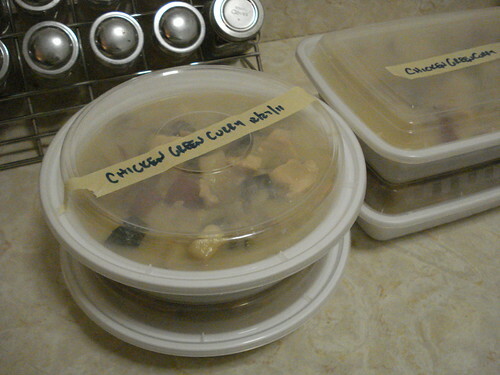 A couple of nights this week we got takeout or went out to eat, partly to support the neighborhood economy, partly because by the time I was done with my work I was ravenous and too impatient to run out for groceries and then cook. 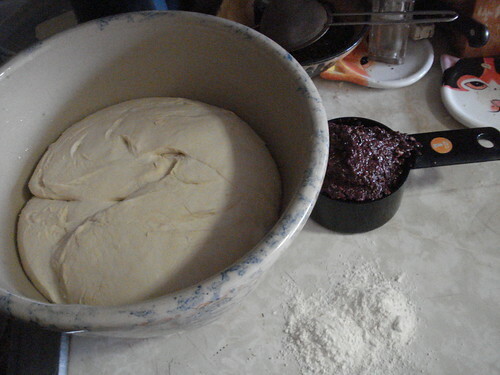 But tonight I wanted to make something comforting, something that felt more like normal life. Today was the closest to normal that we’ve had all weel. My Manhattan friend got her electricity back last night (or this morning if you’re picky, 1 a.m.). Our subway line was back in service as if nothing had ever gone wrong. It seemed time to reclaim the normal and everyday. 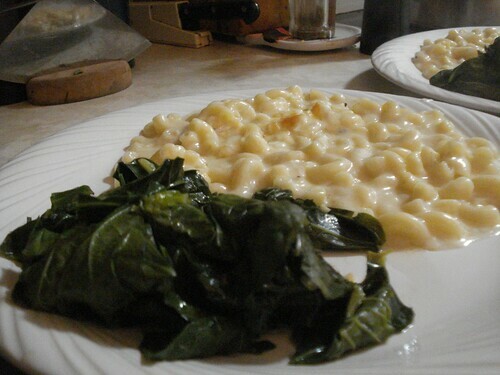 So I made macaroni and cheese and collard greens. 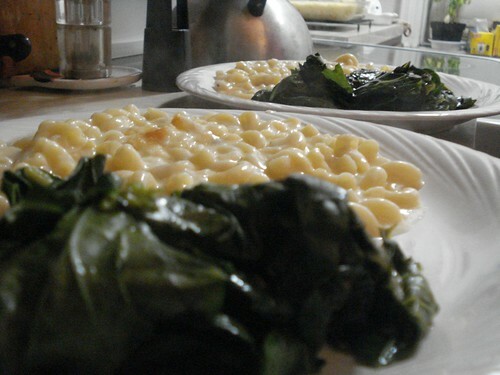 The mac and cheese is a Martha Stewart recipe I’ve made many times before (though I’m a little irritated at Martha’s company right now for sacking the Everyday Food crew, including a friend — but it’s still the best recipe I have). I didn’t have enough whole milk so thinned it out with water. 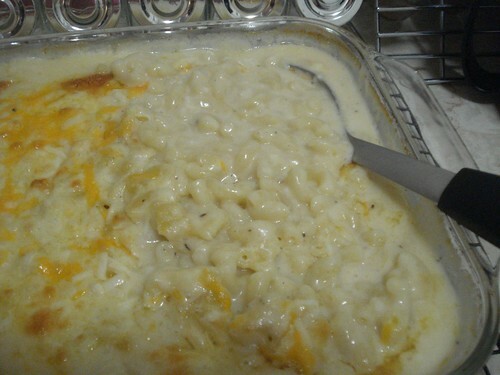 Voila, skim milk, but I didn’t cook the white sauce quite as long as I should have to let it thicken, so the resulting baked dish was a bit liquidy but will set up more as it cools, and will reheat beautifully. 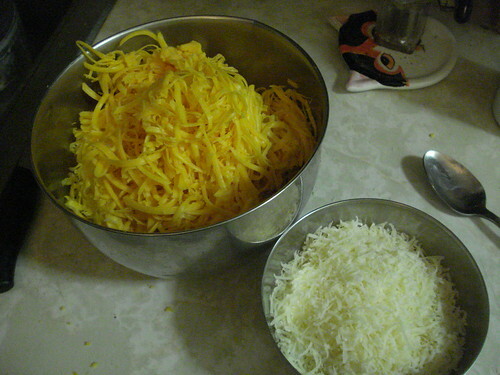 And with plenty of cheese, it still tasted fantastic. 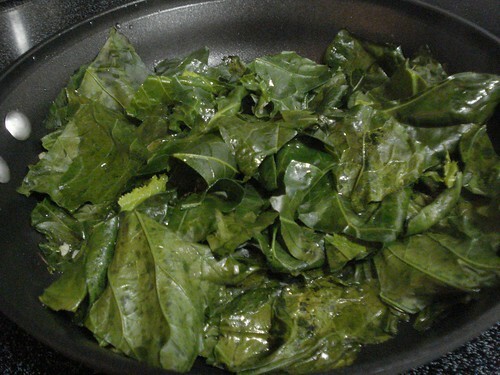 The collard greens are a simple braise, with garlic, red pepper flakes, salt and pepper, and were a nice complement to the rich and gooey mac and cheese. If you’d like to help out the Sandy recovery efforts, here are some links. There’s a lot that still needs to be done before residents of the area will be back to normal, especially those in the hard-hit areas of the Rockaways, Staten Island, Lower Manhattan, New Jersey and Long Island. 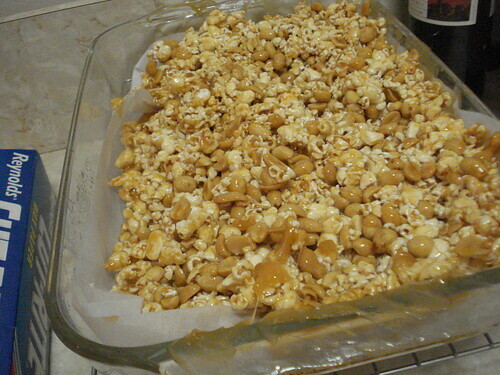 The really crazy part of this isn’t that I tried out a caramel sauce recipe that nearly led to disaster. 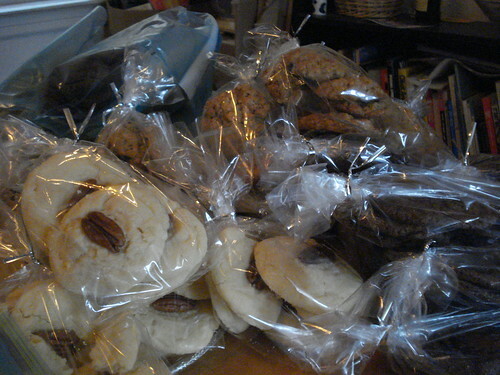 The really crazy part is that I almost made fortune cookies in addition to the other holiday sweets. Martha Stewart Holiday Cookies is another of those special-issue magazines, this one from 2001 (several years before we lived above Zupan’s). 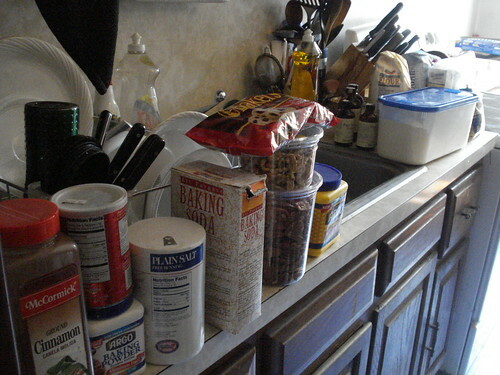 I’ve used it before; I’m quite fond of the oatmeal cookies with dried cranberries, and there’s a chocolate cookie that I make every year (I did this year too, but didn’t take pictures since it’s not new for the blog). Most of these recipes are charming and truly special, and this appealed to me because I don’t want to do anything dull or unoriginal when it comes to my holiday baking. 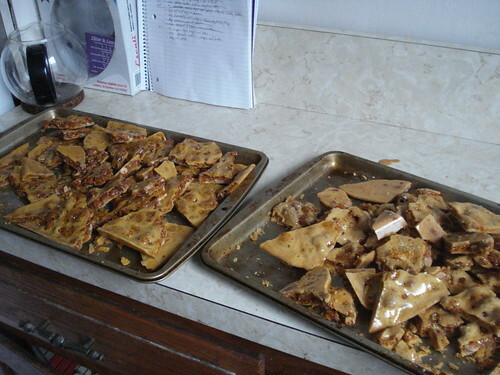 So I gave very serious thought to making fortune cookies, for which Martha provides a recipe. 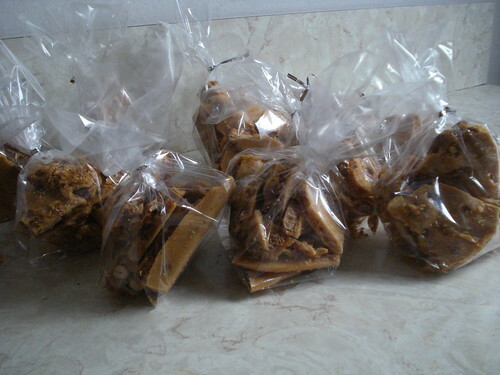 I’ve made fortune cookies before, nearly 20 years ago now; the tricky part is folding them quickly before they harden. 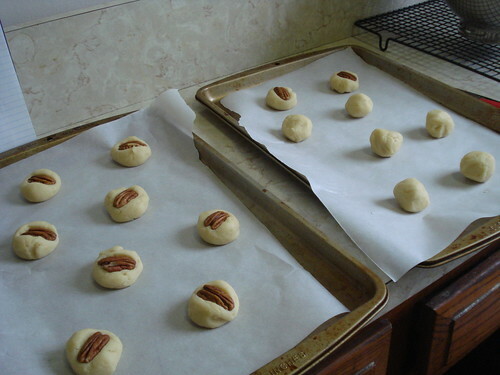 But when I was doing my last planning for the baking marathon I calculated how long it would take to make them, and realized that I would have to devote 2 hours just to the fortune cookies; they go slowly because you can only bake two at a time to ensure you have time to fold them. 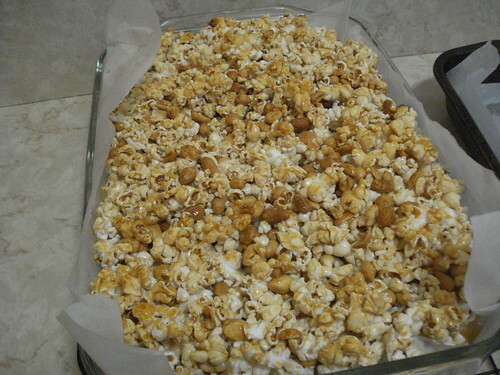 So I turned instead to golden popcorn squares. Every other cookie in the magazine has a big glorious display photograph. 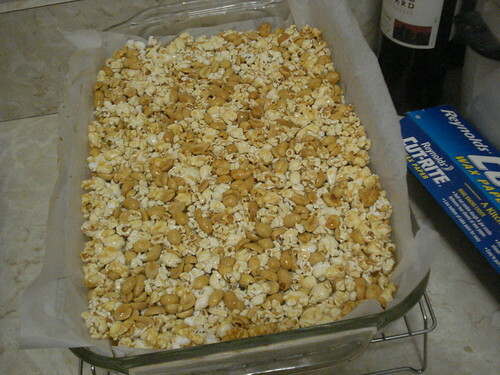 Golden popcorn squares appear in a photo that’s really featuring creative ways to pack and wrap the cookies, and I had to dig to find it; the squares are a pretty small part of the scene. I think there’s a reason for this. 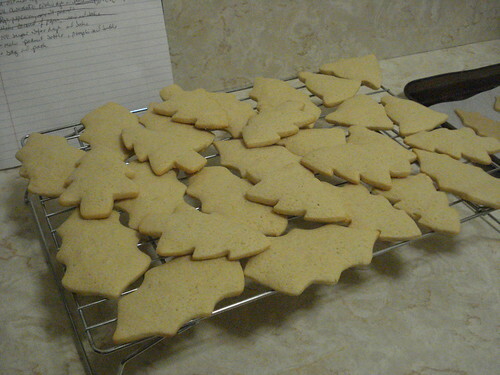 They’re not an elegantly pretty cookie. They are a somewhat rustic bar. And, oh, they are messy. 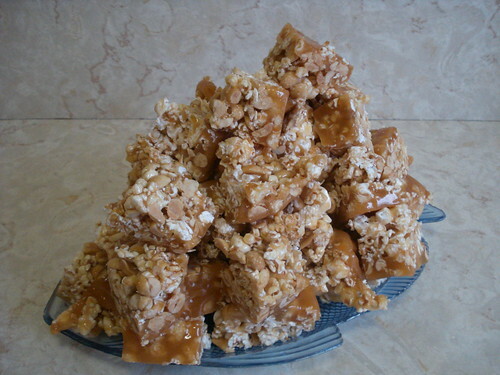 Golden popcorn squares have three basic ingredients: popcorn, peanuts and caramel sauce. 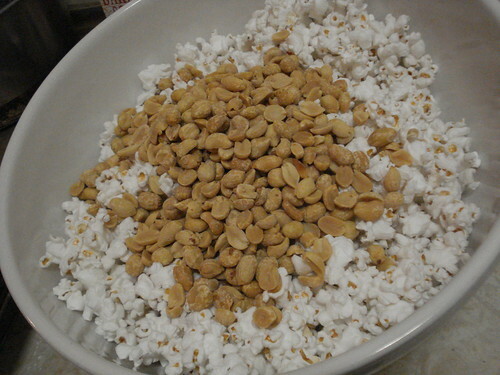 Popcorn was easy: I used our stovetop popper and some Greenmarket popcorn kernels and canola oil, and in short order had exactly 12 cups of beautiful, white, fluffy kernels — and no unpopped kernels. I thought this was auspicious, which just goes to show you that I am not always in tune with my intuition. I added some peanuts, and I took a few moments to prepare the baking pan: oil the pan, line it with parchment, oil the parchment. 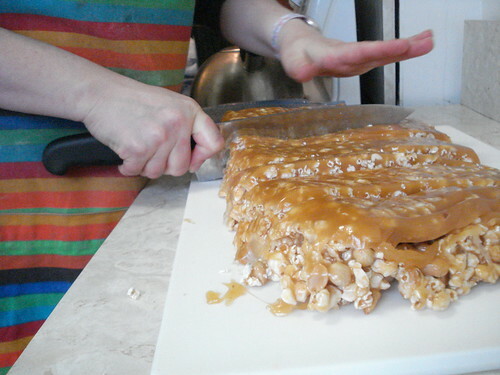 Then I turned my attention to the caramel sauce, for which Martha provides the recipe. I wasn’t intimidated at the prospect of making caramel sauce on the stovetop. 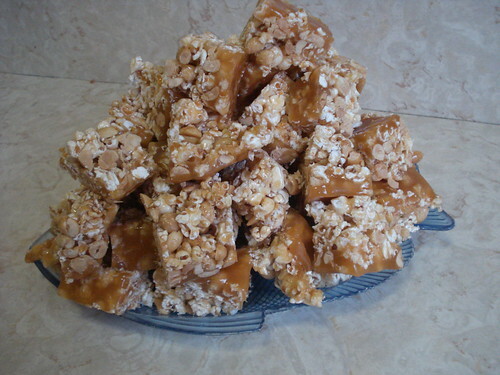 I’ve made peanut brittle before, so heating sugar syrup is nothing new to me. 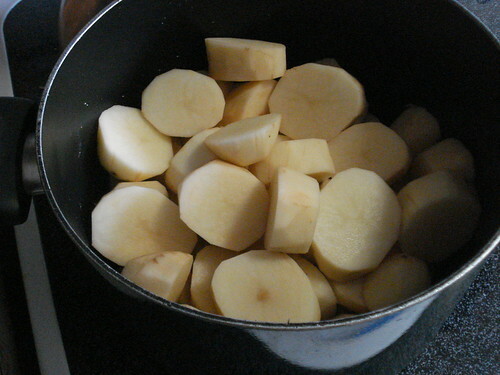 And I was careful to use a good, heavy saucepan, a nice Calphalon one I received for Christmas a few years ago. The recipe specifies that the saucepan should be at least 3 inches deep, and this one was 4 inches. 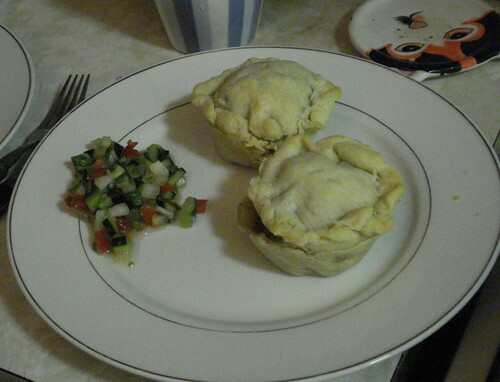 What I failed to take into account was that I was making one and a half recipes’ worth. So I blithely moved ahead. 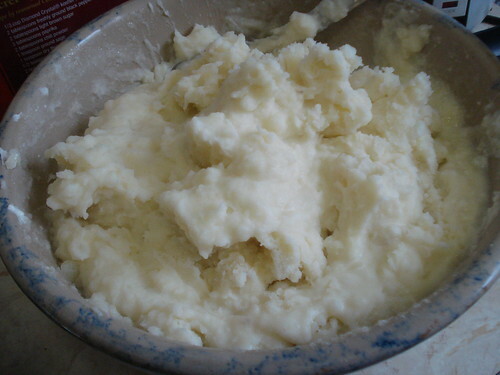 I combined sugar, cream of tartar, salt and water in the pan and cooked it until it reached 300 degrees. This is kind of fun to watch: When it reaches 212 the water boils out vigorously, and it looks like it’s going to bubble out of control but it doesn’t. When the mixture reached 300, I attempted to follow the direction to pour heavy cream slowly down the side of the saucepan. 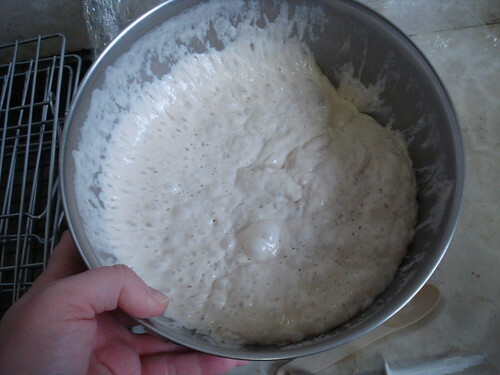 I believe the object of doing it this way is to quickly warm up the cream before it reaches the syrup. Unfortunately, my pan was small enough that I had very little side of pan exposed above the top of the sugar mixture, and could not help but pour some of the still-cool cream directly into the sauce, which caused it to bubble over dramatically. 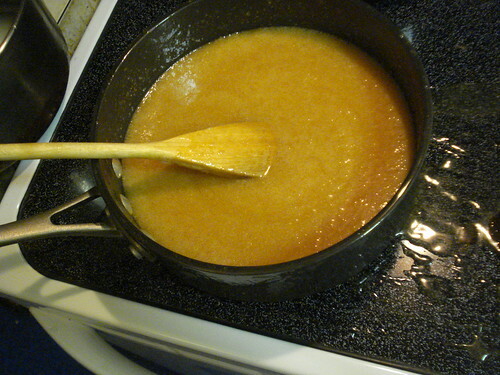 Caramel sauce is a sticky substance, and burned caramel sauce really wants to adhere to the stovetop. 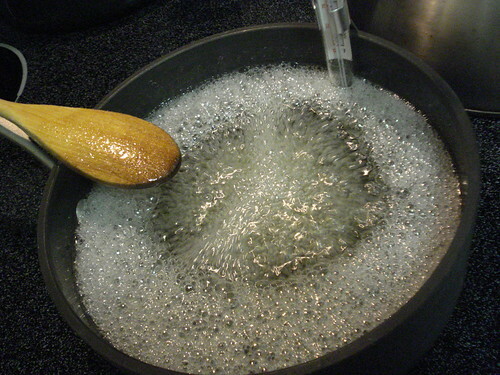 Fortunately, the thing that makes it so sticky is also the key to its cleanup: The stuff is mostly sugar, and sugar dissolves in hot water. 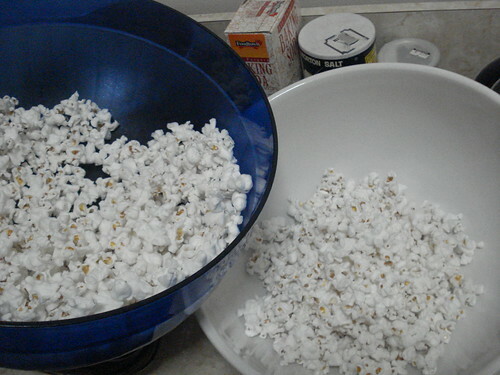 I did a bit of damage to a kitchen sponge, but with some concerted effort I was able to wipe away the stuck-on goo in pretty short order, and I had managed to clear away nearly all traces before the popcorn mixture was ready to come out of the oven. 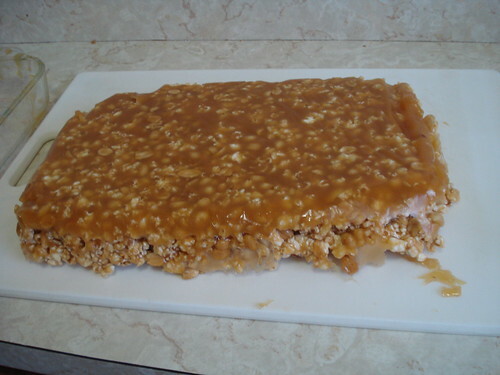 What really saved me was the new flat stovetop; it would have been a lot harder to safely get the caramel out of the pipes and crevice of a gas stove burner. We weren’t done with the recipe yet, though. Martha directs you to prepare two pans, but I only have one of that size. Her instructions call for letting the baked bars cool for 5 minutes, then inverting the mixture into the second prepared pan and letting that cool entirely. 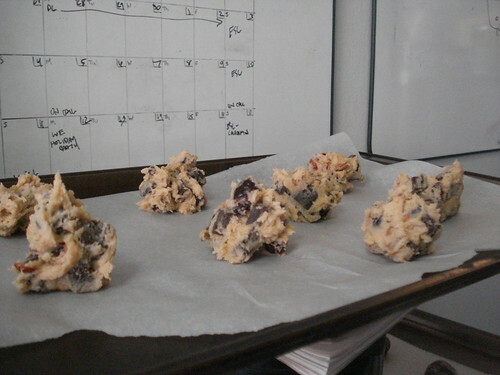 Perhaps, I thought, I could turn the bars onto a cookie sheet. 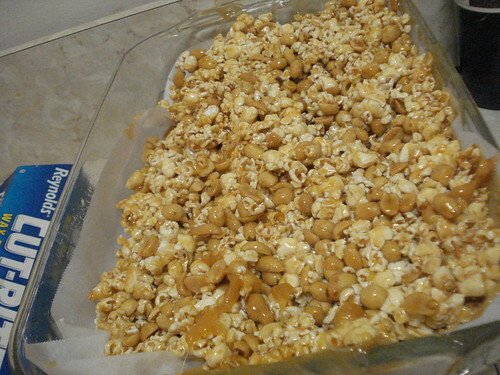 So I tried it, and the caramel quickly began to dribble down and the popcorn slab to sag and spread. 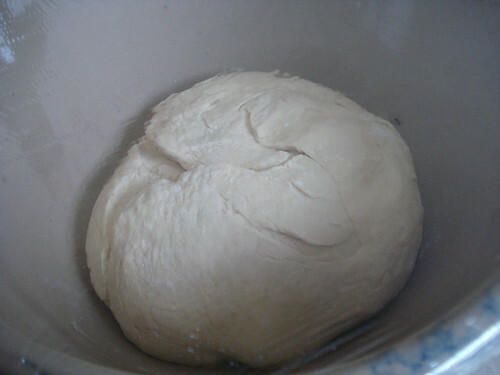 It would seem the point of the second pan is to get the baked mixture into cooler surroundings as quickly as possible to allow it to set up. 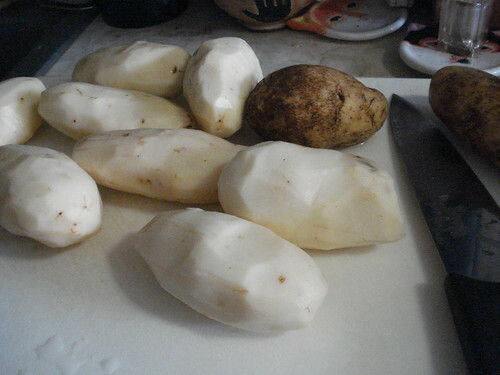 So I hustled to wash, re-oil and re-parchment the pan, then invert the now shaggy-looking mixture back into it. 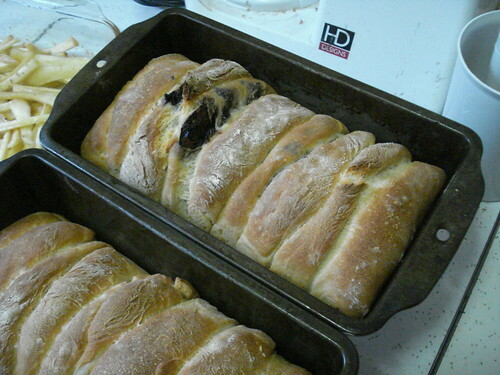 The whole thing was somewhat lopsided and irregular, but I left it to cool overnight anyway. 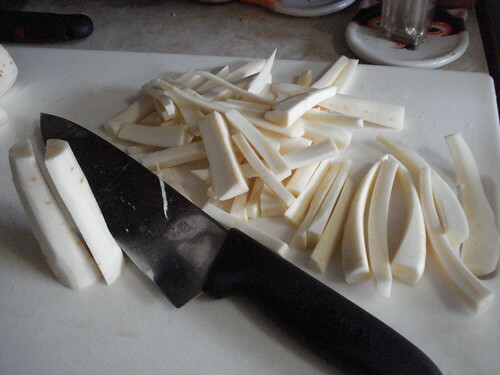 The next day, I turned the now-set bars out of the pan onto a cutting board and hewed it into squares. 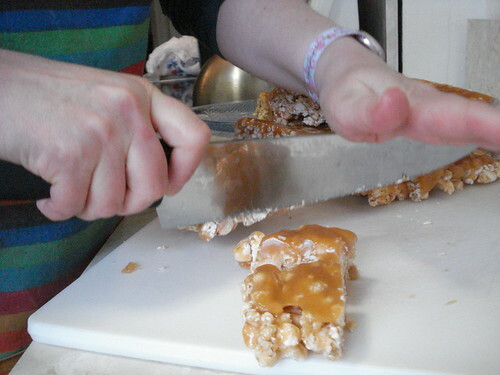 I expected that part to be more difficult, but my knife is a pretty good one, and it didn’t take me long to make passable bars. 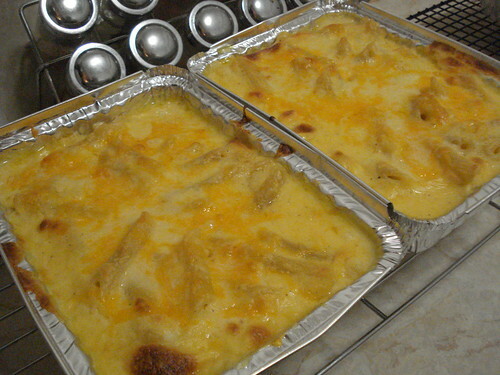 They looked great, though the longer they sat at room temperature the more they wanted to adhere to one another. 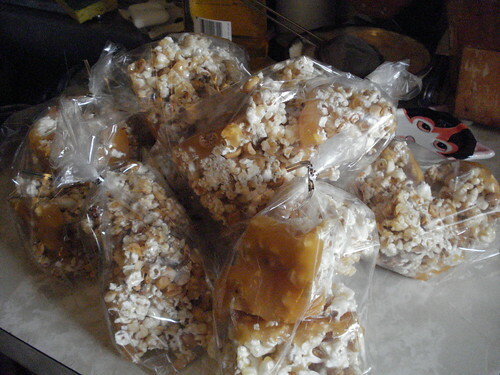 By the time I was ready to bag up treats I’d given up on the concept of “bars,” and of “pretty,” and decided to see it as bags of caramel corn. And it was delicious. Is delicious; I’m nibbling on some right now. (Carefully, so as not to get my keyboard sticky.) 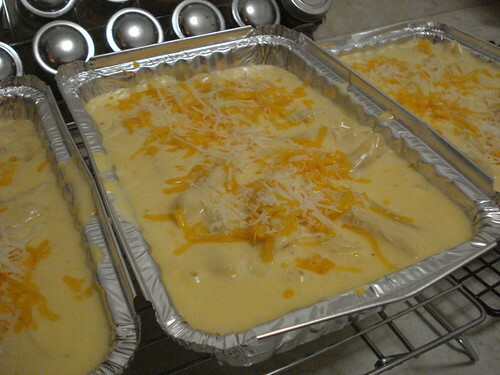 I may have to get a second baking pan and a larger Calphalon saucepan, sharpen my knife, and try it again next year. Verdict: Close enough. 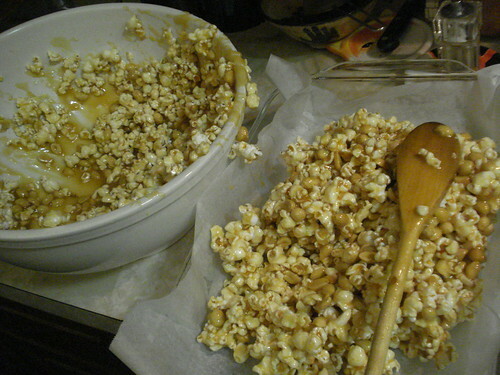 I made caramel corn and got the stovetop clean again. That’s good enough for me. 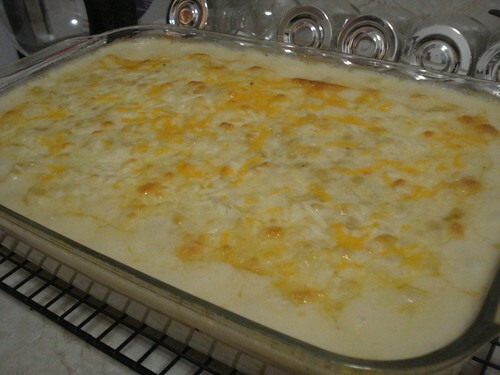 Favorite Comfort Food promises a broad range of comfort food, and it delivers. Macaroni and cheese, apple pie, French toast, corn chowder, matzo ball soup, tuna melt, pierogies, chocolate chip cookies… The list goes on. All recipes are laid out with classic Martha Stewart detail and perfection. I was not a big fan of meat loaf growing up, so this isn’t actually one of my comfort foods. 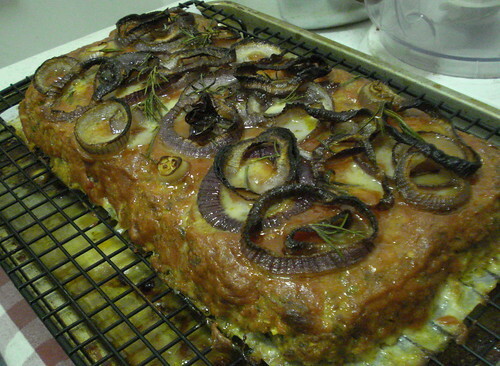 My mom was a great cook, but her meat loaf didn’t do it for me. I don’t know why. I don’t know if it was the texture or the flavor; I don’t know if my tastes had not yet matured or if her recipe just wasn’t that great. 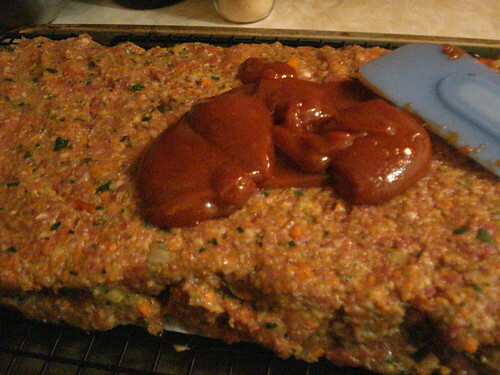 So I haven’t made meat loaf before now, but every so often my husband has wished for it a bit. And when I was going through the books for November’s list I saw that both Martha Stewart and Alton Brown had meat loaf recipes. I thought, this is a classic. Two of my favorite cooks, with recipes that are sure to be the best possible; I’ll make both and we’ll see which I like better — if indeed I like either at all. So I started with Martha’s. No packets of soup mix here! 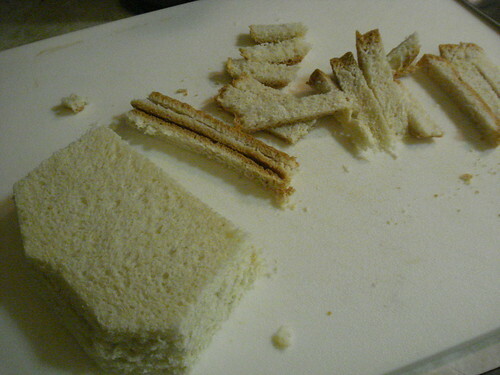 I started by cutting the crusts off three slices of white bread and whirling them into crumbs in the food processor. 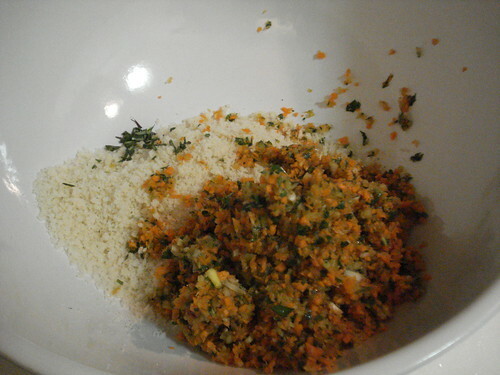 I emptied the crumbs into a mixing bowl, and returned to the food processor with some chunks of onion, carrot, celery, garlic and parsley, which I minced and added to the bowl as well. 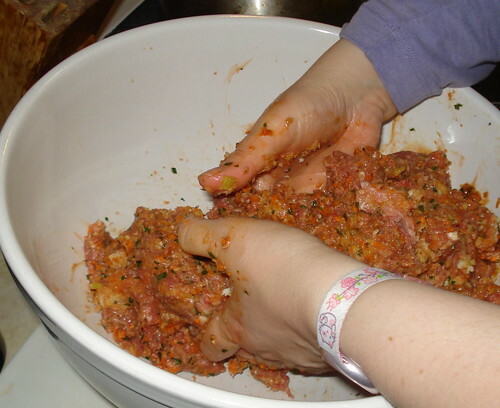 I then mixed in some ketchup, dry mustard, chopped fresh rosemary, beaten egg, salt, pepper and Tabasco, plus three kinds of meat: equal parts ground beef, ground pork and ground lamb. (The last was actually supposed to be ground veal, but I think I made a Freudian slip at the meat counter at Whole Foods when I asked for lamb instead; I have serious qualms about veal, though kind of doubt that lamb is much better.) 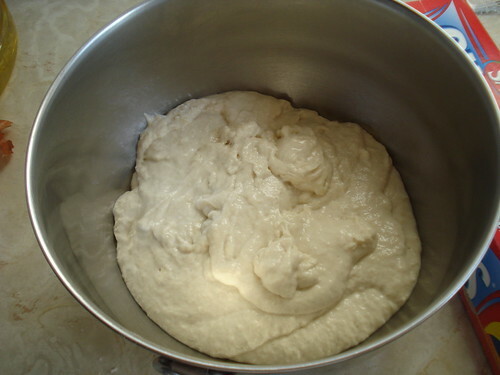 I mixed this all together with my hands, then shaped it into a loaf on top of a piece of parchment that I’d laid on a metal rack. 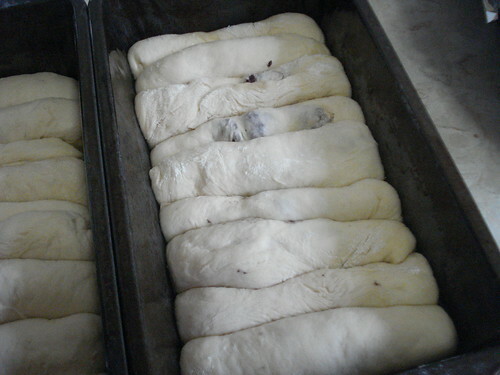 This is one of the first improvements Martha offers over conventional meat loaf: The meat is exposed to the air of the oven, not encased in a loaf pan, which ensures both that the surfaces brown better and that excess fat renders out more effectively. 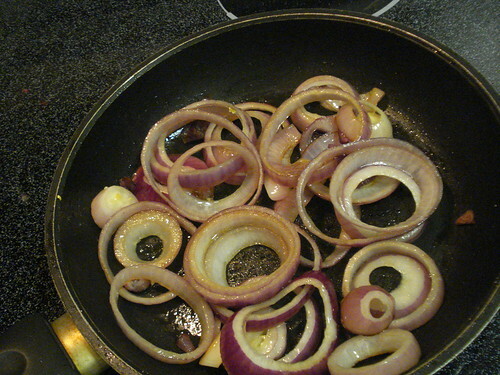 I then sliced some red onions into rings and browned them in some olive oil. 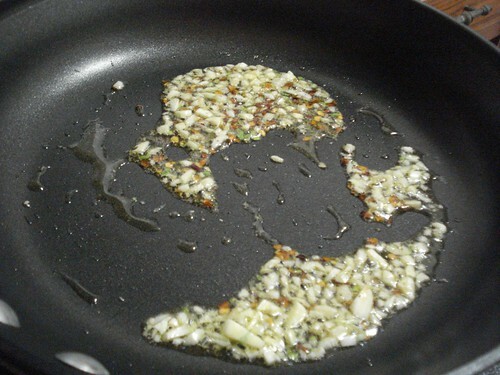 I slipped up here, too: I was supposed to add some water to the pan to more effectively soften the onion rings. Oops. They were caramelized but not limp. 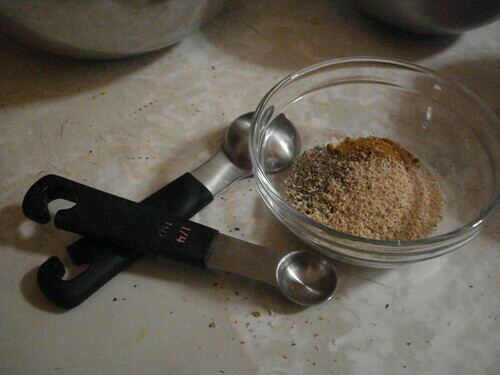 In the meantime, I mixed up a glaze of ketchup, dry mustard and brown sugar, which I spread on the loaf. 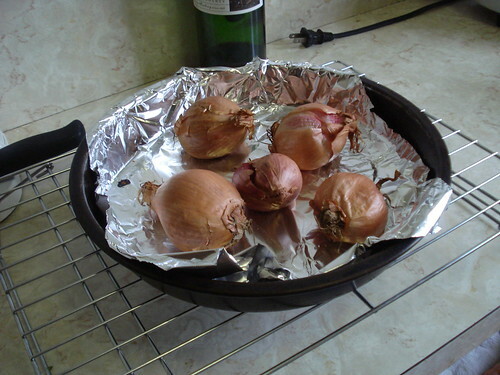 I then spread the onions on top and put it into a 400-degree oven. After about half an hour I sprinkled on some more rosemary leaves, and after about 55 minutes of baking time I brought it out of the oven to rest before slicing. 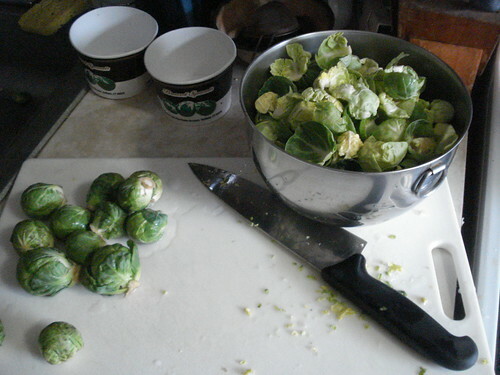 Martha recommends serving the meat loaf with mashed potatoes and spinach, but I was getting everything started rather later than I had meant to and didn’t feel like going to the labor of mashing potatoes, so I cut up some Yukon Golds and some Brussels sprouts and roasted them instead. 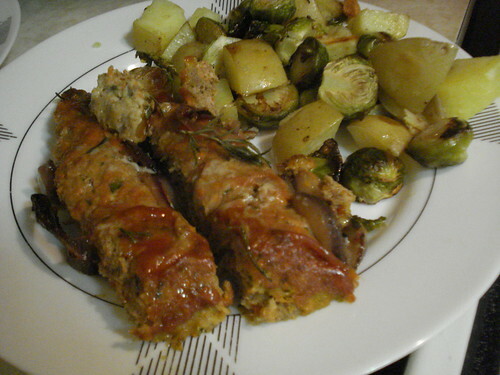 They went quite nicely with the meat loaf. And how was the meat loaf itself? Am I a new convert? I am. It was tasty, juicy, and nicely textured. 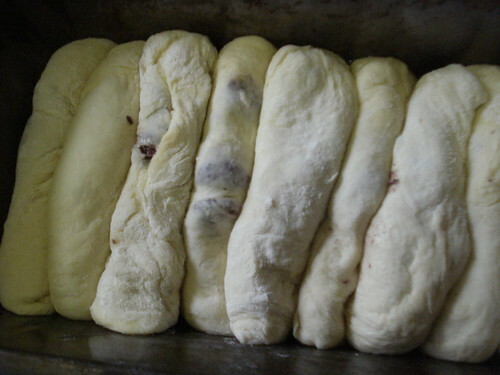 No toughness, either within the loaf or at the glazed edges. It was moist without being greasy. And the flavor was rich and lively; the Tabasco gave it a kick, and the rosemary accentuated the savory flavors of the meat. Verdict: Success. So next weekend we’ll see how Alton Brown measures up. After a trauma like Tuesday’s biscuit fiesta nonsense, it’s important to get back in the kitchen right away and make something really worth making. Hence tonight’s dinner, chicken stuffed with savory duxelles, from The Martha Stewart Living Cookbook: The Original Classics. This is more like it. Let me say again: I love Martha Stewart. I admire her. I’m not in the same league as she is and probably never will be, but as a cook she exemplifies a lot of what I really value in cooking. Fresh, high-quality ingredients, the best techniques, and an unwillingness to settle for anything but the right outcome. Oh, sure, there are lots of fussy recipes in her book, but there are also lots of these simple, delicious dishes. 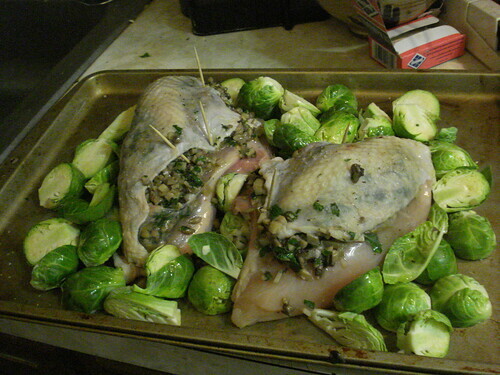 Despite the French in the title, chicken stuffed with savory duxelles is pretty straightforward. 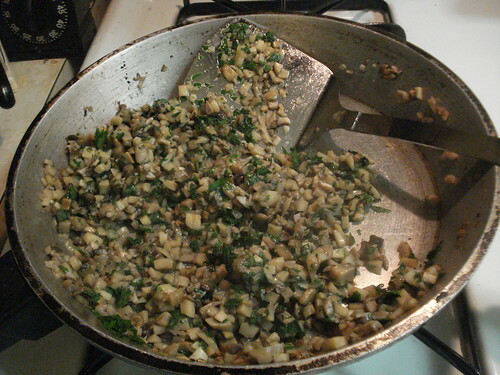 Because the filling is put together quickly, I did all my chopping first: finely chopped parsley, minced garlic and shallot, finely chopped mushrooms. 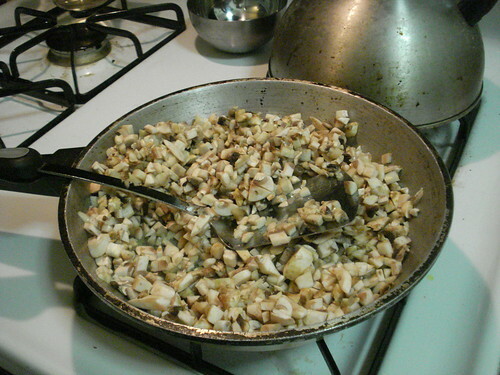 I heated some olive oil in a pan and sauteed the garlic and shallot for about a minute (until they became fragrant), then added the mushrooms and let them cook for a few minutes until they started to release their juices. At this point I sprinkled on a bit of salt and pepper and added a bit of white wine, then let it cook until the liquid was evaporated. 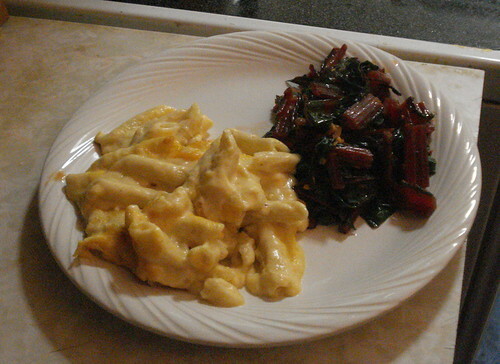 Total cooking time: about 15 minutes, most of it hands-off. While the mushrooms were cooking, I preheated the oven and rubbed a bit of olive oil on a baking sheet, then laid out two chicken breast halves and loosened the skin. 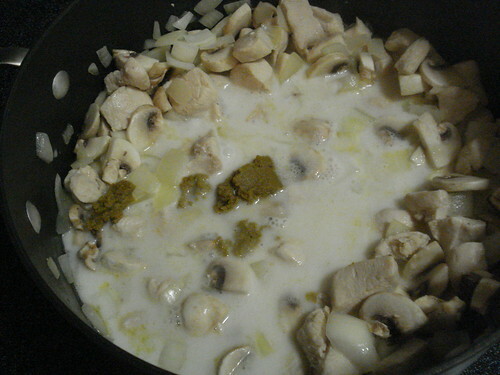 When the mushroom mixture was cooked I stirred in some minced parsley, then stuffed the mixture under the skin of the chicken breasts, using toothpicks to secure the skin so that it covered the breast and the filling as fully as possible (rather than sliding off). I added some halved Brussels sprouts to the baking sheet, drizzled some olive oil over the whole thing, and put it in the oven. It baked for 35 minutes, during which time I cleaned up the kitchen and poured myself a glass of wine. 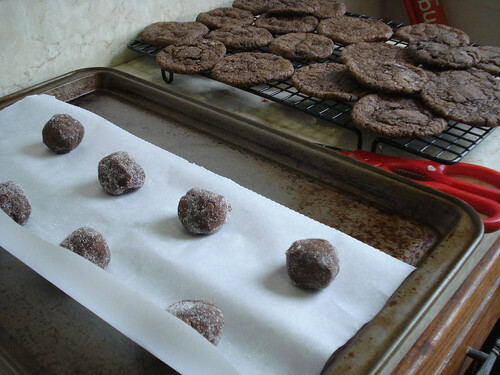 When the kitchen timer went off I pulled the baking sheet from the oven. 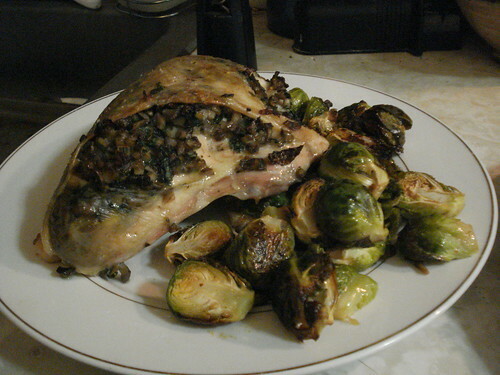 Beautiful: browned, roasted sprouts, crispy chicken skin, and moist and flavorful chicken. I wish I could convey the smell over the Web. 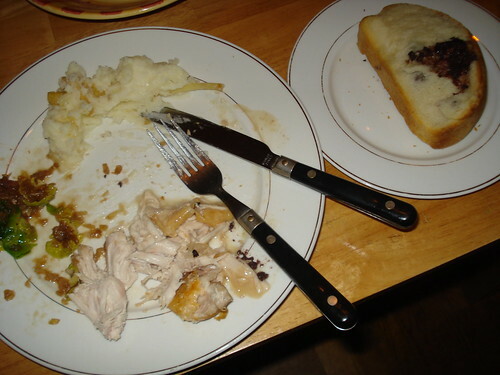 I pulled out the toothpicks, slid chicken and Brussels sprouts onto plates, and dinner was served. Verdict: Success. I will make this again. This is what cooking should be: Simple, elegant and delicious. Martha Stewart’s Cooking School is one of my big, thick comprehensives. 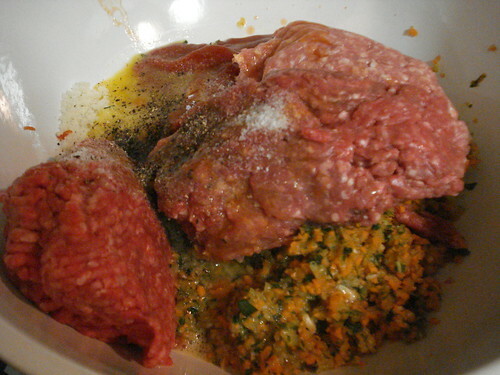 It’s organized by kind of food and technique; for example, the chapter on stocks and soups is divided into types such as white stock, brown stock, dashi and consomme; the chapter on meat, fish and poultry treats roasting, grilling, braising, steaming, and frying rather than being organized into beef, chicken, and fish. Detailed steps and the kind of stunning photographs for which Martha Stewart is known make it easy to see what to do at every stage of the process. With over 250 recipes to choose from, why did I pick fried chicken? Because it scared me. I don’t fry much. It’s not that I’m concerned about eating fried food (although I probably should be); it’s the mess. Spattering oil, cleaning up the pan, cleaning up the stove. I’m also a little bit afraid of burning and smoke, so I thought that Martha Stewart’s instructions might be the ones to use to make sure I’d accounted for everything and prevented any problems. You could start with a pre-cut-up chicken, but I chose to follow Stewart’s instructions to cut up a whole chicken, including cutting the breast piece into two for more even cooking. 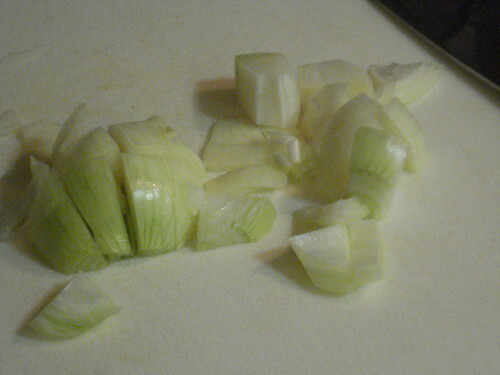 I’m not very good at cutting up a chicken, though I’m getting better with practice. It helps to flex the bird at the joints so you can get a clearer idea of where the sockets are and cut more easily between the bones; that makes for neater pieces. I did fairly well with this one, though when I cut the breast pieces in two I did a messier job with one; instead of a neat sort of triangular piece, I had a kind of raggedy piece. 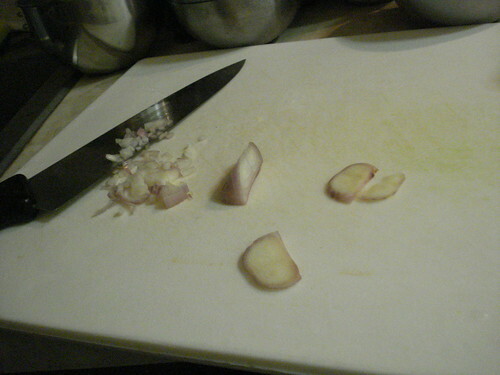 It definitely helps to have a good sharp chef’s knife, which is very good for cutting through the breastbone and any other tougher areas. You want to end up with 10 pieces: two each of wing, thigh, drumstick, upper breast half and lower breast half. 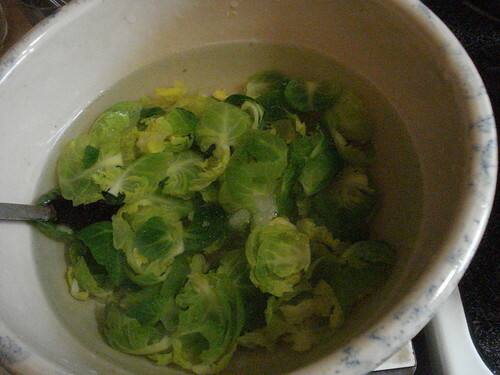 The back will be left over; I froze it for making stock later this year. The chicken pieces are marinated in the fridge for at least three hours in buttermilk seasoned with mustard powder, Old Bay seasoning, cayenne, salt and pepper; I let mine marinate overnight. 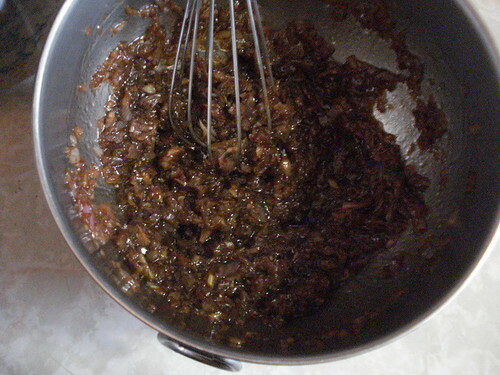 About an hour before it’s time to start frying, you take the chicken out of the fridge and lay the pieces on a rack over a baking sheet; this allows the chicken to come closer to room temperature, the excess marinade to drip off, and the remaining marinade to get a bit tacky so it will hold the coating better. While the chicken rests, you whisk together some flour, yellow cornmeal, cayenne, salt and pepper. Stewart’s instructions recommend starting with only half the dredging mixture; I mixed the full amount but put only half into a shallow bowl for dredging, and held the rest aside in case I needed more. That half turned out to be plenty to coat the chicken, so I was able to save the remainder for another use knowing it hadn’t been in contact with raw chicken. 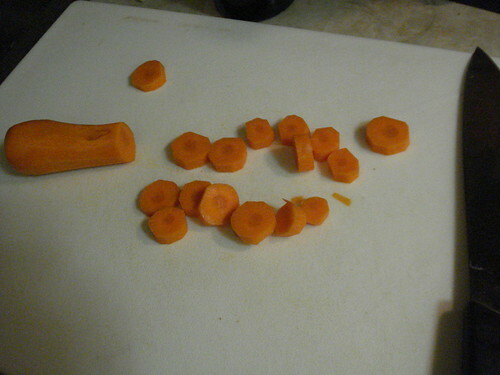 This recipe calls for heating the oil to 375 and cooking the pieces for 5 minutes per side. I thought that sounded awfully fast, but clearly it was ample time. 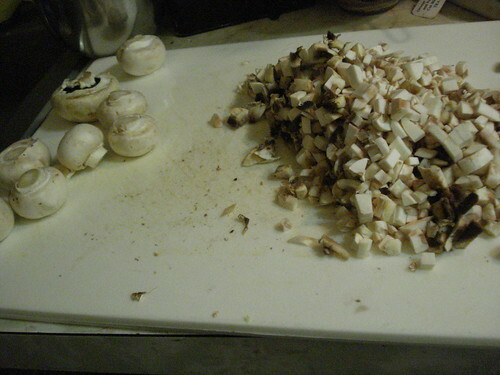 The recipe also says to put as many pieces into the skillet as will fit without touching; I didn’t think I could fit in all 10 pieces without crowding, so I chose to do five pieces at a time, one of each variety, so that both batches would be the same. With a slightly larger skillet or a slightly smaller bird I might have been able to do it in one batch. 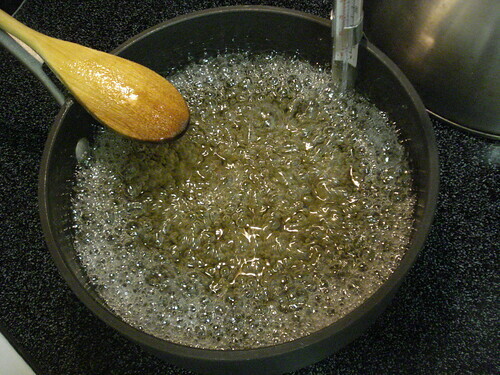 As soon as I started to add chicken to the oil, the moisture caused bubbling and a bit of spattering. You have to be very careful at this stage; you don’t want to drop chicken pieces into the oil, and you want to make sure there isn’t any extraneous moisture on the chicken or your tongs that could pop and spray hot oil at you. That would be bad. I got a little bit spattered when I added the first batch of chicken pieces — nothing serious, and a quick rinse under cold water put me right. The recipe also says to cover the pan to prevent spattering and ensure even heating, but I didn’t have a lid that was large enough, or a splatter guard. 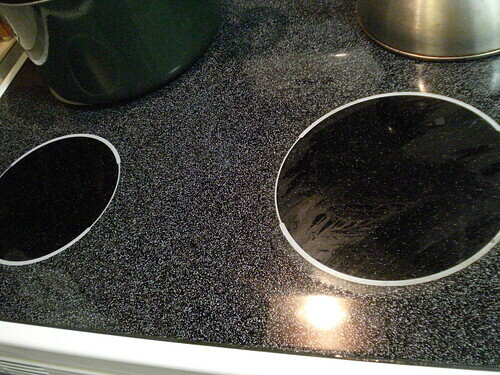 A splatter guard might have made the after-dinner stovetop cleaning a bit easier, but I think a lid would have trapped steam as well as oil, which I don’t think could be good. So the cooking itself is very simple: add pieces skin side down, cook for five minutes, turn, cook another five minutes, then remove to a rack to drain off excess oil. 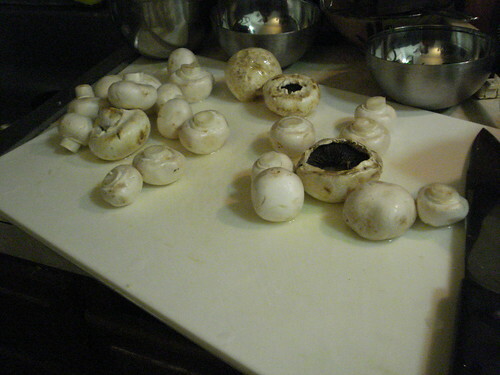 Stewart suggests holding cooked pieces in the oven if you’re doing more than one batch, but I didn’t bother. For one thing, fried chicken is good at any temperature; for another, it was hot enough in my kitchen without turning on the oven as well; and for yet another, I didn’t think the first batch would cool enough in 10 minutes to make a real difference. Verdict: Success. 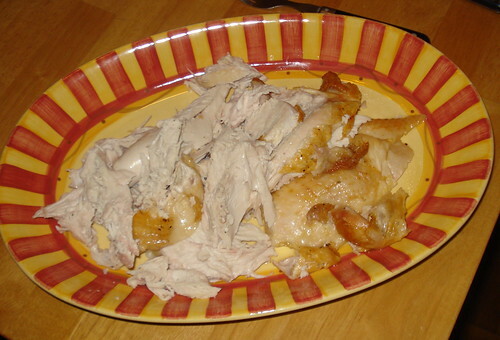 The chicken was delicious, with moist, juicy meat and a crispy, satisfying crust. 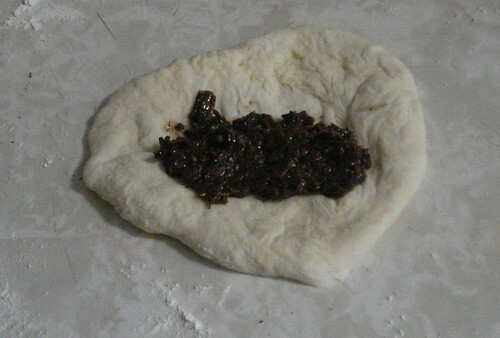 Of course, the whole process was rather messy, and I had a fair bit of oil to dispose of when it had cooled down. 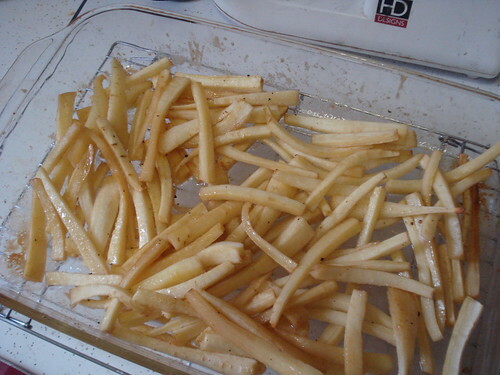 (I don’t plan to fry again soon, so thought that if I filtered and saved the oil for re-use it would be very likely to go bad before I could use it.) I think it might make sense to do this for a large gathering, or at least it would be for someone whose friends aren’t mostly vegetarians. But I’m pretty unlikely to try it again before the weather cools down.